Finally- a city that appeals to my royal proclivities. 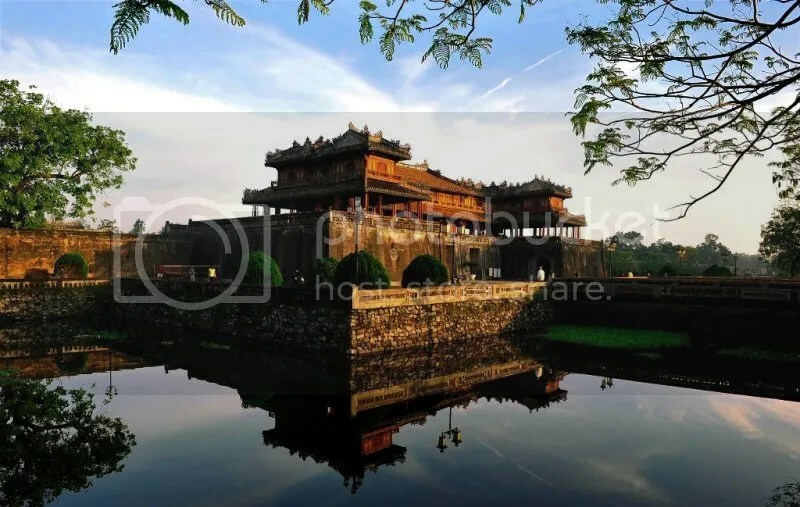 Huế is an ancient capital of Vietnam, being the center of the Nguyễn dynasty in the 17th through 19th centuries. It is a quieter city than Hanoi, with beautiful rivers and parks everywhere you go. The ancient tombs and ruins here draw in many tourists eager to see an old kingdom. However, even on my third day here, I have yet to explore any ruins- I’ve been too busy eating. For as well-known and photogenic as the Imperial Citadel is, I have priorities here. Thanks to a wonderful couchsurfing network, I’ve connected with a few local Vietnamese people for different meals. I think that something about my genuine interest in authentic Huế food speaks to people here- everyone has been very kind, giving me literal lists of different dishes to try. There are more suggestions than I could ever follow. The sheer number of Hue dishes is extraordinary. The old kings supposedly refused to eat the same dish more than a few times a year, forcing the cooks to create innumerable variations on traditional cuisine. Some people number “Hue cuisine” to contain over 1,500 unique dishes. Anthony Bourdain traveled here a few years ago, filming an episode of Parts Unknown in Hue (these videos are quite good- I now understand his enthusiasm). Many local people have talked to me about this episode, though I have yet to find a way to watch it online. However, yesterday, I had the pleasure of visiting one of the restaurants at which Bourdain had eaten with a new friend. We arrived at the tiny building, tucked away in a residential neighborhood, for lunch. It reminded me of those restaurants in Japan that lack a sign or publicity, instead relying on word of mouth among those in the know. Bánh bèo, a steamed rice cake covered in crispy bits of beans, fried meat, and seafood. Best covered in fish sauce and chilis. We started with the classic dish, bánh bèo, a dish that I think I could eat for the rest of my life. Then there were a multiplicity of other rice cakes wrapped in different types of leaves, steamed for hours before arriving in front of us. Again, I find that Vietnamese food contains so many different types of textures- each rice cake contained some new combination, waiting to be covered in fish sauce. Another, filled with crunchy shrimp from the nearby river- what a mix of textures! We finished the meal with bánh ram ít, a crunchy, steamy, bite-sized puff of deliciousness (that I somehow failed to take a picture of! It will be ordered again). I felt so wonderfully content, leaving that restaurant, knowing that I have days left for culinary exploration with new friends in this fascinating city. Already, I have expanded my palate so much that I think it will never be the same. This must be how to live like a king!